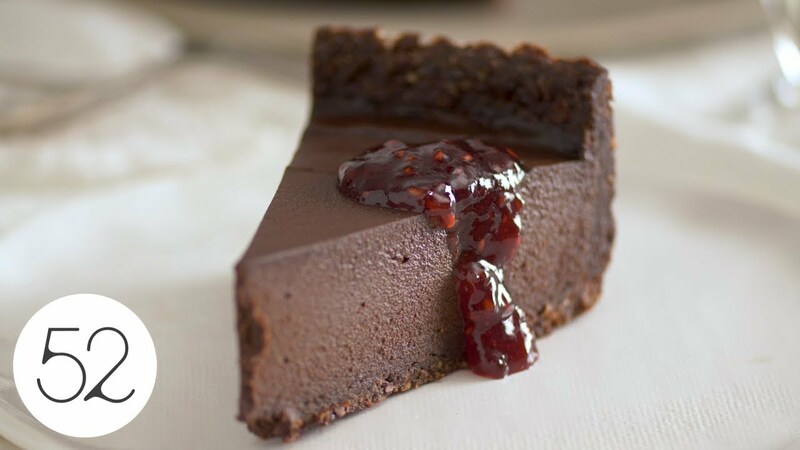 Farmacy Kitchen's Raw Chocolate Tart - GetCooking! Food52’s – Farmacy Kitchen’s Raw Chocolate Tart recipe. This raw chocolate tart, from Camilla Fayed’s ‘Farmacy Kitchen,’ is so silky-smooth and intensely chocolate-y that you won’t believe it’s raw and vegan. We’d love to hear your feedback on this video recipe format in the comments section below! If you used this video to make Farmacy Kitchen’s Raw Chocolate Tart, please tell us how it went! View the original recipe notes here: Food52’s – Farmacy Kitchen’s Raw Chocolate Tart.